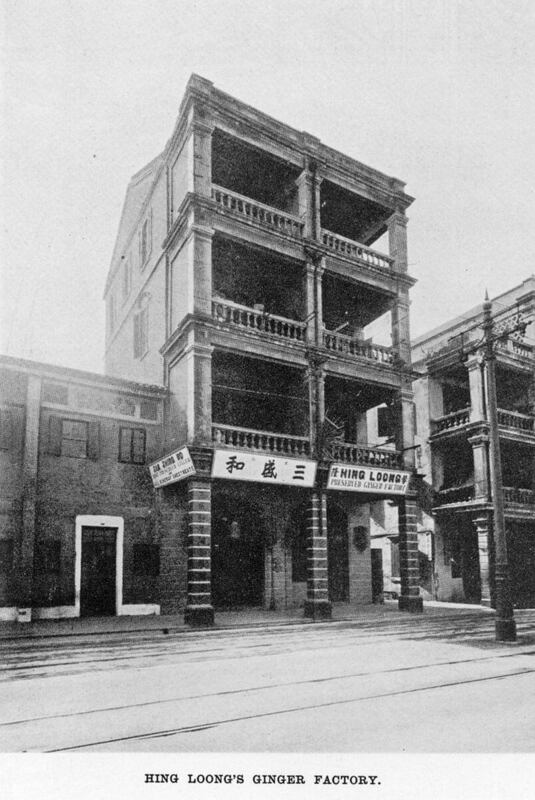 HF: Extracted from Twentieth Century Impressions of Hong-kong, Shanghai and Other Treaty Ports of China, Wright A, Lloyd’s Greater Britain Publishing Company Ltd., 1908. A popular delicacy at home is the preserved ginger imported largely from China. The Hing Loong ginger factory in Canton is noted for producing some of tlie finest qualities, the export of which is controlled by Messrs. L. M. Alvares & Co., of No. 8a, Des Voeux Road, Hongkong. The ginger is prepared by a secret process suggested by Mr. Alvares. Another important business in which Messrs. Alvares & Co. are engaged is the export of feathers, which are purchased in China and cleaned in the firm’s own factory at Kowloon — the only establishment of its kind in the Colony — equipped with the latest machinery, and housed in a building specially designed to meet the exacting requirements of the Sanitary Board. The firm do a considerable and important business with Europe and America, and have an excellent reputation as experts in the selection of Chinese produce. The business was estab lished in 1896 by Mr. L. M. Alvares, the present managing partner, wlio was educated at St. Joseph’s College, Hongkong. In 1903 he took Mr. J. M. Alves into partnership. This article was first posted on 12th June 2014.